Active as you are, not all of your activities require or allow the use of a wheelchair. 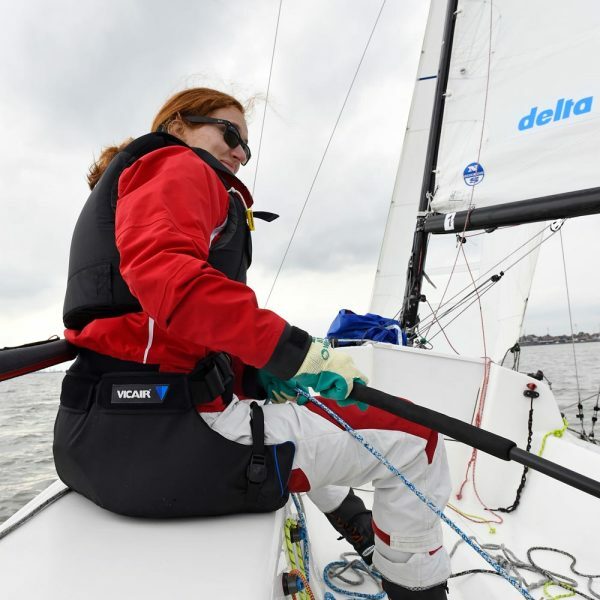 In these situations the activity cushion Vicair AllRounder O2 keeps you comfortable and helps to protect your skin. 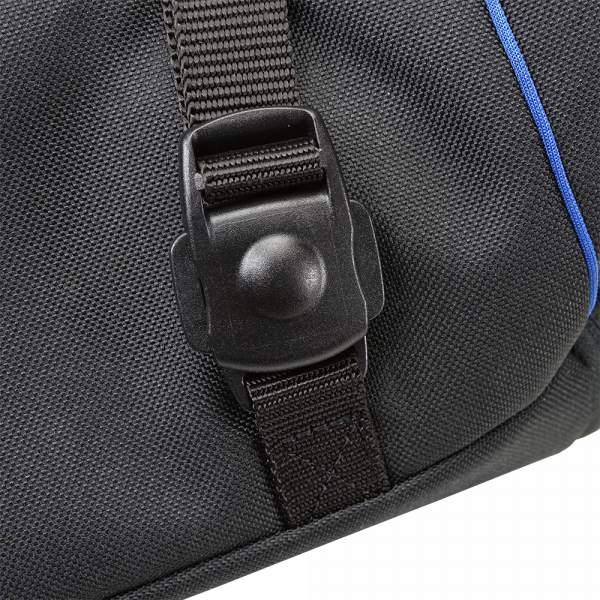 As it is easily buckled onto your body, it follows you around wherever you go. 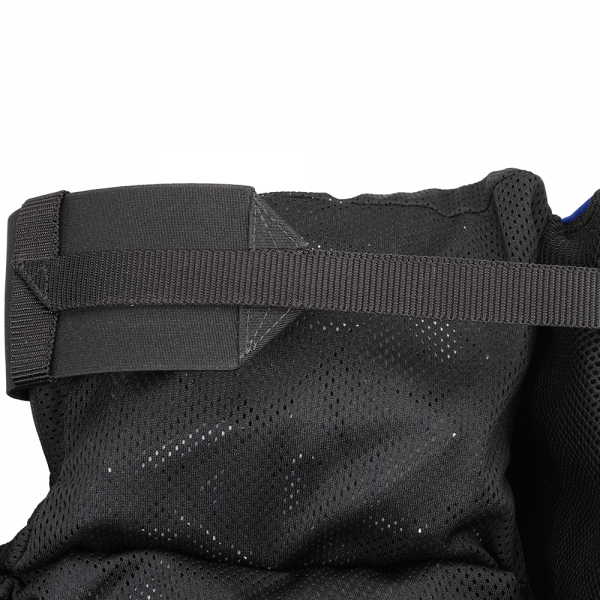 Feel protected and secure during your sports- and outdoor activities, when you sit in a normal chair or on any hard surface, or when you play on the ground. 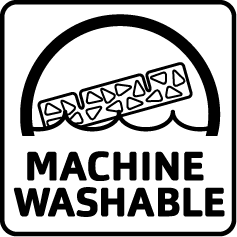 Afterwards you can simply put the entire AllRounder O2 in the washing machine to clean it up and make it ready for your next adventure together. Experience the freedom! 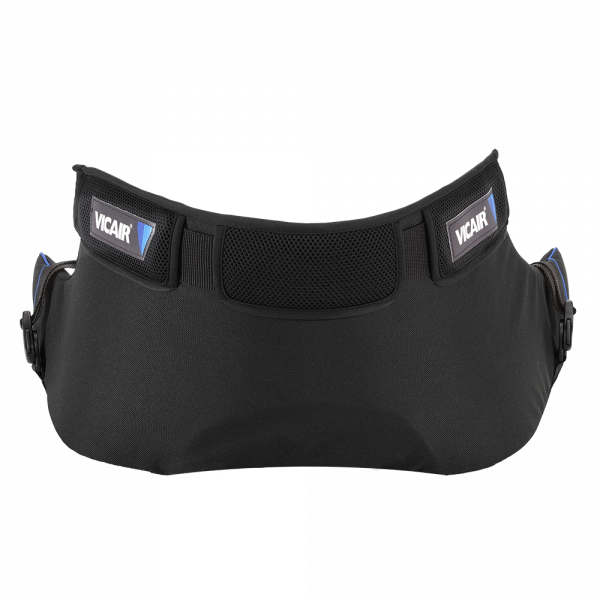 The activity cushion Vicair AllRounder O2 is available in three sizes: small, medium and large and has an average weight of only 800 grams. 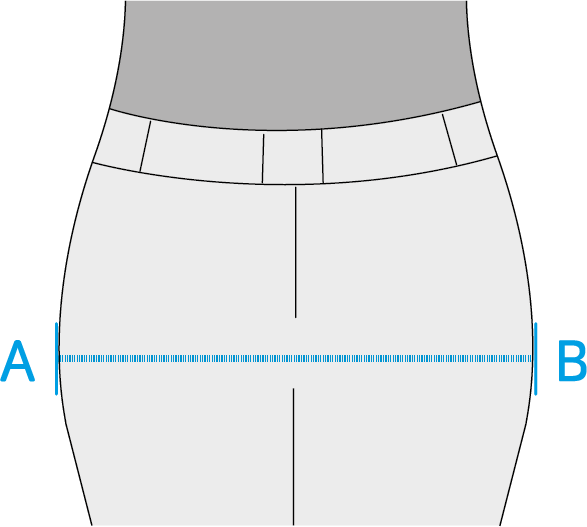 Measure the width of your hips to check which size matches the size of your body. 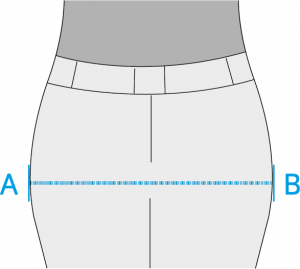 When seated, hold a tape measure horizontally above the widest point of your upper legs, closely against the front of your hips. Do not follow your leg contours, keep the tape measure straight. 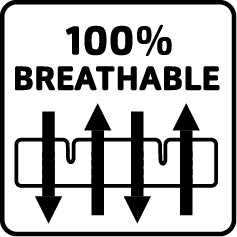 Measure from A to B (or B to A). Choose the larger size if the measured size is in between two sizes. The activity cushion Vicair AllRounder O2 consists of a Harness base with a cushion fixed to it. 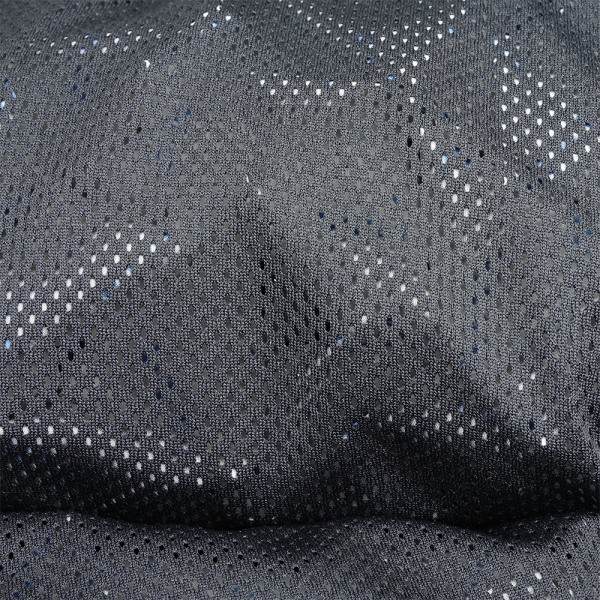 The five compartments of the cushion are filled with Vicair SmartCells. 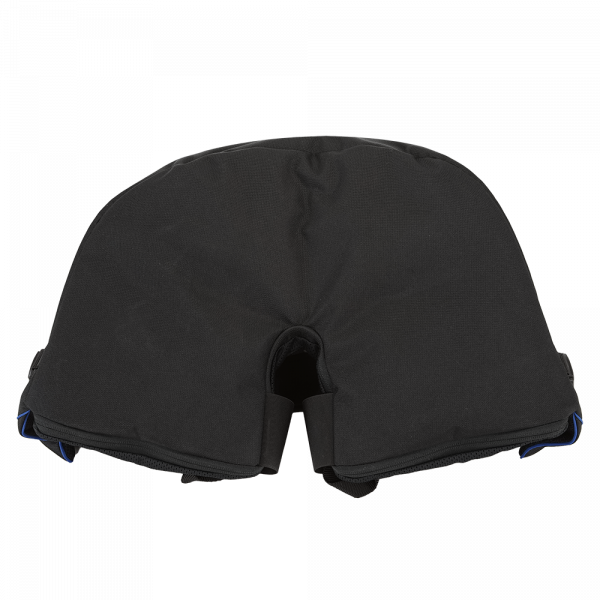 They help to protect your skin from pressure and give you comfort outside of the wheelchair. 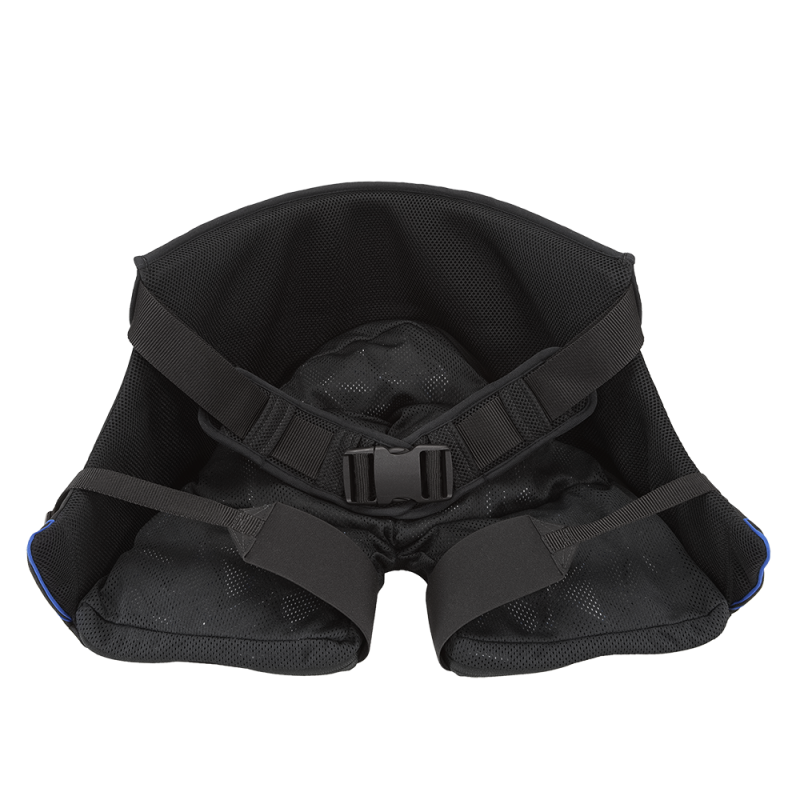 The open structure of the Vicair AllRounder O2 cushion makes it extremely breathable. A valued feature during your (sports) activities. Are you into water sports? Water can simply seep through. 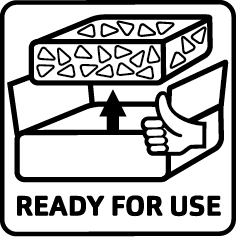 This feature also allows you to put the entire Vicair AllRounder O2 in the washing machine, without having to disassemble it first. Let it hang-dry afterwards and it’s ready for your next adventure. 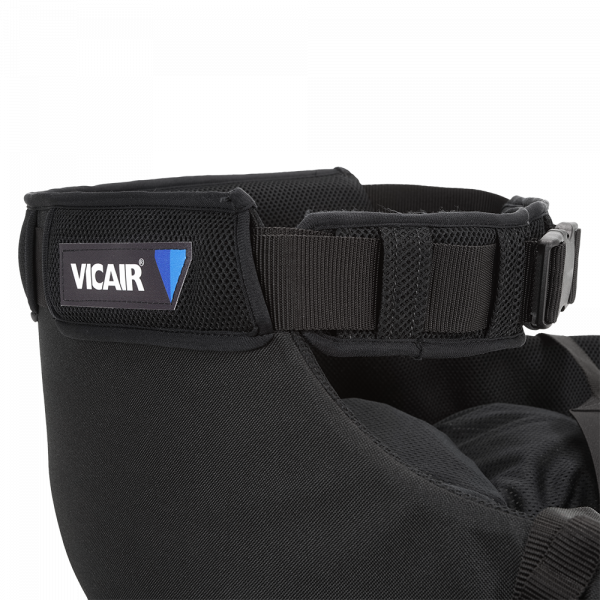 The activity cushion Vicair AllRounder O2 is easily strapped on to your body by use of a padded waist strap and two elastic leg straps. 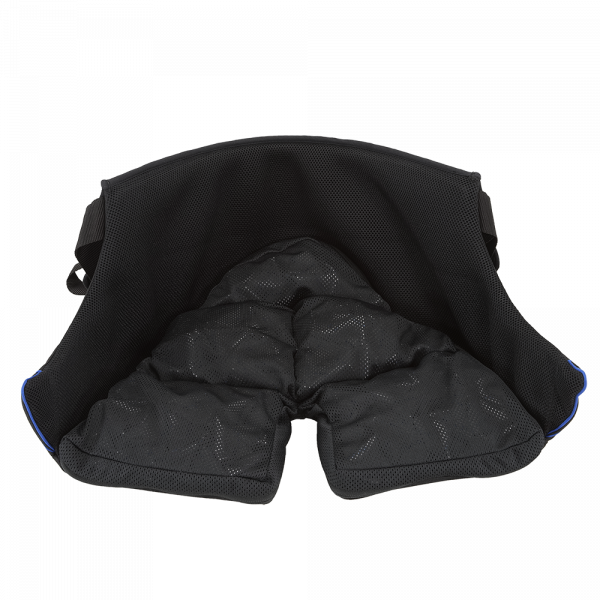 This to provide you comfort where needed and follow the contours of your body as snugly as possible. The padded waist strap and waist strap holders are made to keep the Vicair AllRounder O2 comfortably fixed to your body. The holders also allow you to easily tuck away the excess strap. 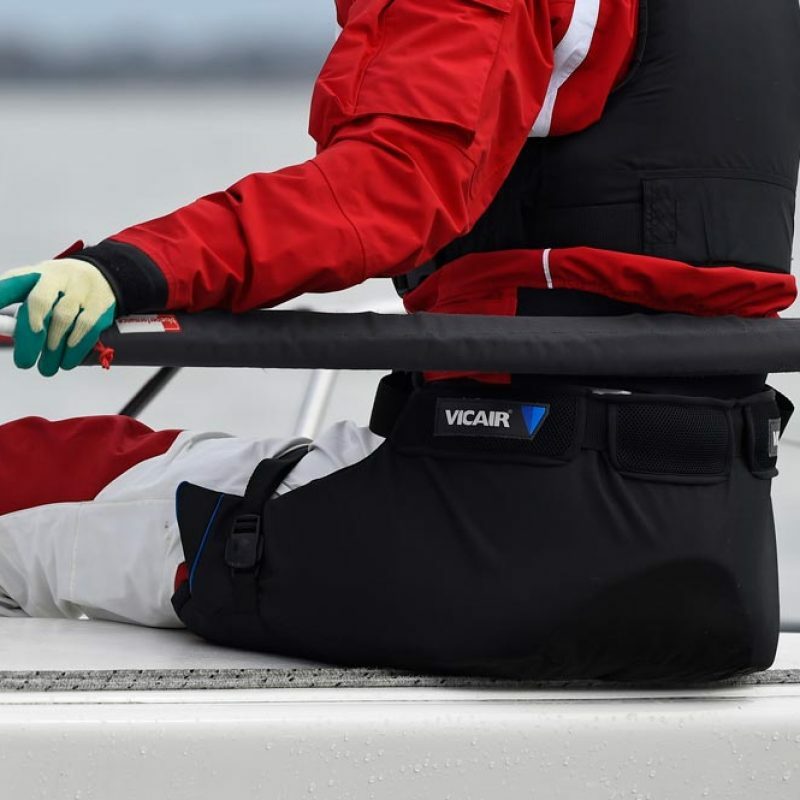 The Vicair AllRounder O2 is provided with an ergonomically shaped back part, for a seamless fit to the shape of your lower back. 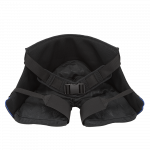 The two elastic leg straps are easily adjusted to follow your leg contours. 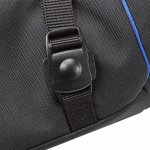 Only one effortless little push to the leg strap clip and it is closed. Quick and simple. The outside and bottomside of the Vicair AllRounder O2 are made of a durable nylon fabric, made to live through many adventures. 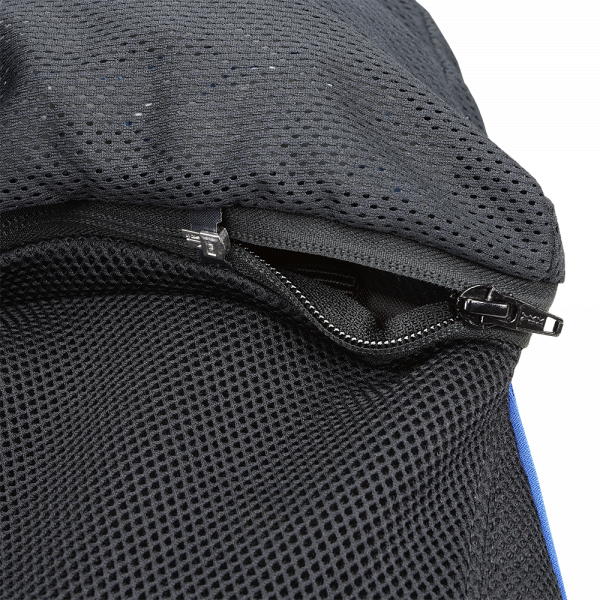 You can use the zipper that follows bottom of the cushion, to remove the cushion from the Harness base. For cushion check-ups, adjustments to the filling or to replace the Harness base. You don’t need to remove the cushion before washing!